Bergen: Chr. Michelsen Institute (CMI Brief vol. 16 no. 3) 4 p.
South Africa’s universities have witnessed unprecedented student revolts over the past two years. It began as protests against a rise in tuition fees and calls for removals of symbols of the apartheid past. It rapidly gained momentum and turned into a national student uprising with demands for free access and decolonisation of higher education. Many universities were forced to suspend academic activities, the riots caused hundreds of millions of rand in damage, and led to violent confrontations between students, police and private security guards, as well as to arrests of many students. In January 2017, protests began at training colleges. What does this imply for the future of South Africa’s higher education system? What are the challenges for future cooperation in education and research between Norway and South Africa? South Africa has 26 public universities with nearly one million students while 700 000 students are registered at the more than 50 higher education training colleges (TVET colleges – Technical vocational education training). An additional 90 000 students can be found at various private institutions. South Africa has seen a major expansion of student enrolment. University enrolment has increased from about 500 000 in 1994. Enrolment at the colleges has increased from around 200 000 in 2000. The vast majority of students are now Africans. This is a dramatic increase – although the number of students in South Africa’s higher education system in relation to the size of its population (55 million) is still far too low compared to other middle-income developing countries. The government plans to increase university enrolment to 1.5 million by 2030. The student protests are a major manifestation of shortcomings and failures of the transformation of South Africa’s higher education. They have also emerged as an illustration of an expanding frustration with the state of South Africa, its extreme inequalities, its widespread poverty and its huge youth unemployment. Social protests and community actions have been a feature of South African politics for many years, but the student protests were the first major national wave of protests. South Africa also has several large state-owned research institutions (science councils) outside the higher education system. They are responsible for implementing major applied research commissioned by the state or commercial companies. The two biggest are the Medical Research Council and the Council for Scientific and Industrial Research with a combined staff of several thousand. The government has put renewed efforts into the use the science councils to address South Africa’s long-term development challenges. This includes new efforts to formulate a government science and technology policy as well as increased funding both from the Department of Science and Technology and from other departments. This has led to new demands and changing roles for these institutions – they are expected to improve their capacity to contribute to innovation, poverty reduction and inclusive economic development. The sharp rise in student numbers indicates a major improvement in access to higher education. Most of the expansion is due to higher enrolment of black students. However, there is continued racial disparity in the student population. The vast majority of university students are now black (nearly 70 % of university students are Africans), but only 14% of African students are enrolled in higher education institutions, as opposed to 57% of white students. Black and female students are under-represented in science, engineering and technology as well as in business and commerce programmes. White males dominate postgraduate studies. Financing is another major challenge. Students cover – through tuition fees – part of the costs. These fees may be relatively low compared to European or North American standards, but for the majority of South African students they are high and is far beyond the reach of an average South African household income. The South African state has a financial aid scheme in place (National Student Financial Aid Scheme) seeking to provide loans and bursaries to eligible students. The loan scheme may be impressive compared to many other developing countries, but it only supports a minority of those students requiring financial assistance – typically students where the combined parent/household income are less than 120 000 rand. Excluded are the “missing middle” (the middle class) – the majority of students with household income between 120 000 and 600 000. The annual increases in the tuition fees sparked the “fees-must-fall” campaign and the demands for “free education”. Different solutions are available to cope with the crisis of admission and funding. The funding dimension has dominated the debate. The financial models being discussed include abolition of tuition fees in favour of full direct state funding of the universities; introduction of various types of progressive tuition fees linked to parents income, or the secondary school background of the student (rural, peri-urban/township, model C/suburban or private); making more students eligible for funding through the national financial aid scheme; and so on. The South African government and the Treasury do have the necessary financial resources available, but abolishing fees in an extremely unequal society may not be a good solution. It may actually contribute to increased inequalities. There is a significant minority of students with parents earning more than 600 000 and they can afford fees. Indeed some of them have their secondary education from private schools with higher fees than South Africa’s most expensive universities. Furthermore, graduation from a higher education institution paves the way towards well-paid jobs in the public or private sector. In such a context, government funds can be better used elsewhere. Free education may actually serve to harden and widen inequalities. The biggest challenge in South Africa’s higher education is however, not the issue of fees, but continued poor access and very high dropout rates for those who have entered the system. While there has been an impressive increase in the number of black students, also from very poor households, the proportion of poor black students at South African universities are very limited. Less than five per cent of black secondary students with parents earning less than 120 000 qualify for entry into universities while the percentage of students with parents earning more than 600 000 is 70 percent. And even more disturbing: Barely 50 percent of undergraduate students have managed to graduate five years after entry. And among those being supported by the national financial aid scheme two-thirds of undergraduate students have become drop-outs five years after entering. Most drop out after the first year, many because the financial support is insufficient and with accommodation and transport being too expensive, but most because they fail to pass exams. There are no easy and immediate solutions to these challenges. 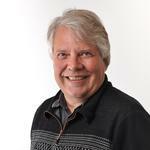 It has also received far less attention compared to the issue of fees. Reducing the dramatic drop out rates requires a major improvement in the quality of secondary education and bold efforts to fix the undergraduate university and college system. This will take time. In the short to medium term, it will require major support, including financial, from the government to assist universities and colleges to provide additional educational support to such students. In some cases, this may even require adding an additional foundation year to ensure that students have the necessary skills to succeed at a tertiary institution. Finally, the challenges facing South African higher education is linked to the wider challenges facing South Africa: poor economic growth, high youth unemployment and the paralyzing effect of the political crisis surrounding the ANC leadership and government. The student protests have not really been able to turn itself into a force for political change. It plays a far more limited role in the bigger South African political picture than perhaps originally expected. It suffers from the absence of any clear leadership or strategy for moving forward. In this sense, the student protests have become a symptom of South Africa’s many ills and failures rather than a force for change. While the South Africa state may have the resources – financial and technical – to map a way forward for the higher education sector, its ability to implement are severely constrained by political leadership and insufficient capacity. The net impact of all of this cannot be predicted. We are not likely to see any immediate solutions that will bring stability although the intensity and scale of the protests may be reduced. A worst case scenario is that the crisis may deepen and further weaken South Africa’s universities to the extent that they end up being primarily producers of undergraduate students for the public service and competing with expanding commercial private colleges. Alternatively, the new focus on higher education following the student protests may catapult South Africa on to a new improved education policy facilitating better access and graduation. South Africa may also continue along the present path without really being able to fix the undergraduate university and college system. This could also lead to increased division between on the one hand, the bigger and more well-resourced universities (the top five or six) with relatively large postgraduate facilities, and on the other hand, the majority of universities with poor resources and a decreasing quality of undergraduate education. 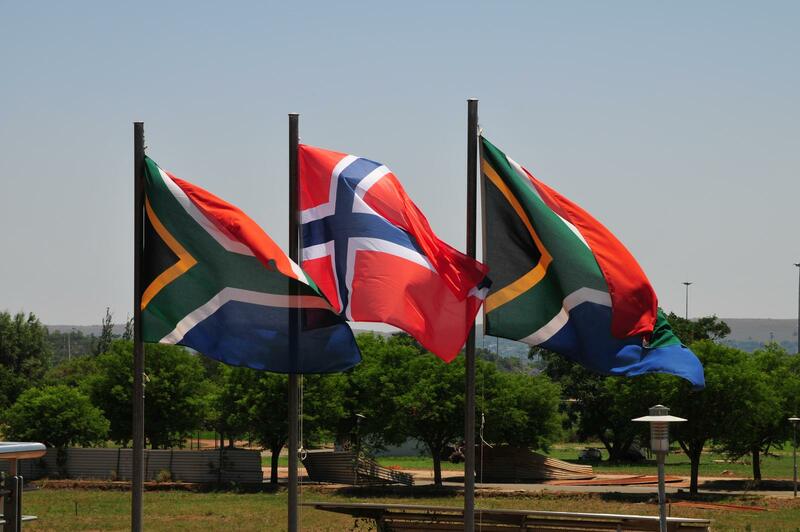 Higher education – and South African universities – has been a prominent part of the cooperation between Norway and South Africa since the fall of apartheid. The Norwegian emphasis on research and higher education has been higher in the development aid programme with South Africa compared to Norwegian aid programmes in other developing countries. The first main step was in 1993 by the then Norwegian University Council and its launch of a special cooperation with four black universities (the universities of the Western Cape, Durban-Westville, the North and Fort Hare). This was followed with new initiatives in the late 1990s. First, with development aid support to a series of pilot research and training projects with the Department of Higher Education and implemented at several South African universities and also with a small link to a Norwegian university (the South African – Norway Tertiary Education Development Programme – SANTED). Second, and most significantly, the cooperation between the Research Council of Norway and South Africa’s National Research Foundation, which has provided funding to a range of joint research projects involving numerous universities in both countries. This programme was jointly funded and managed by South Africa and Norway. In addition, South Africa’s research competence and links to Norway have also featured prominently in many of the other sectors in the Norwegian development aid programme with South Africa. Examples are in environment/climate change, human rights or African peace and security issues. This has also involved various South African science councils and Norwegian research institutes such as several of the environmental institutes, the Marine Research Institute, SINTEF, NUPI or CMI. From the Norwegian side this has been a major success. It has led to broadening of co-operation, which goes well beyond traditional development assistance. The Norwegian Ministry of Education has made South Africa one of its priority countries for educational cooperation outside Europe (together with the other BRICS countries, North America and Japan). A relatively large number of Norwegian students (around 200 annually) pursue studies in South Africa through exchange agreements between South African and Norwegian universities with an additional 60 doing their degrees in the country. Most importantly, there is a large research output from research cooperation between the two countries, including significant joint projects between Norway and South Africa with funding from the EU. In 2016 the Research Council of Norway, the Ministry of Foreign Affairs and Innovation Norway seconded a jointly-funded Science and Technology Advisor based at Innovation Norway’s office in South Africa. This was intended to further strengthen research cooperation, to facilitate improved participation of the Norwegian technology competence and to stimulate improved entry of the Norwegian corporate sector in South Africa. Progress and achievements are many. The relatively large number of joint research projects and high number of publications testifies to the success of the collaboration. The Norwegian development aid programme with South Africa have managed to lay the platform and foundation for a sustainable cooperation beyond aid. Limitations and challenges are however, also evident. This is illustrated by the student exchanges. They are very one-sided with most students going from Norway to South Africa and with few South Africans coming to Norway. This is mainly due to an absence of South African funding mechanisms, but it also illustrates that among those South Africans going abroad few select Norway as destination. There are certain biases in academic disciplines involved. Most cooperation projects are within the social sciences and the humanities, and to some extent health. The majority of projects are broadly within development and African studies. This is perhaps as expected given that an interest in Africa is a major motivating factor for individual researchers and students. Recently, there has been a broadening of cooperation with other disciplines gaining ground, but several sectors are not well represented, perhaps especially within engineering and technology. This may point to areas of potential future growth although targeted programmes may be necessary to get cooperation off the ground. Finally, the current crisis in South Africa’s higher education also needs to be taken into account. It will impact on South Africa’s future ability to participate in joint research with Norway – and on South African institutions’ attractiveness as a partner. Unless South Africa can devise and implement an education and research policy that better responds to South African development needs its universities run the risks seeing their research capacities being weakened. This will also undermine Norwegian efforts to expand and further develop its cooperation with South Africa in this sector.